This sculpture is a beautiful piece to add to anyone's collection! 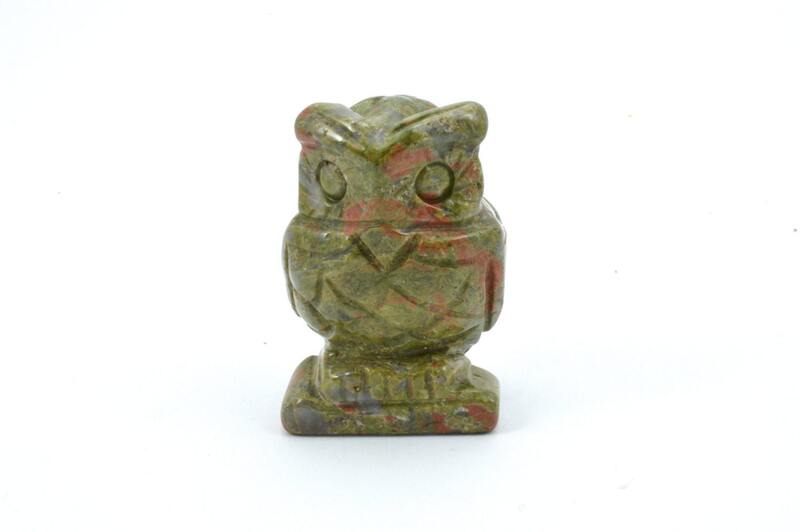 Made from a solid piece of Unakite, this gorgeous Owl sculpture is shore to be an adorable addition to your home decor. 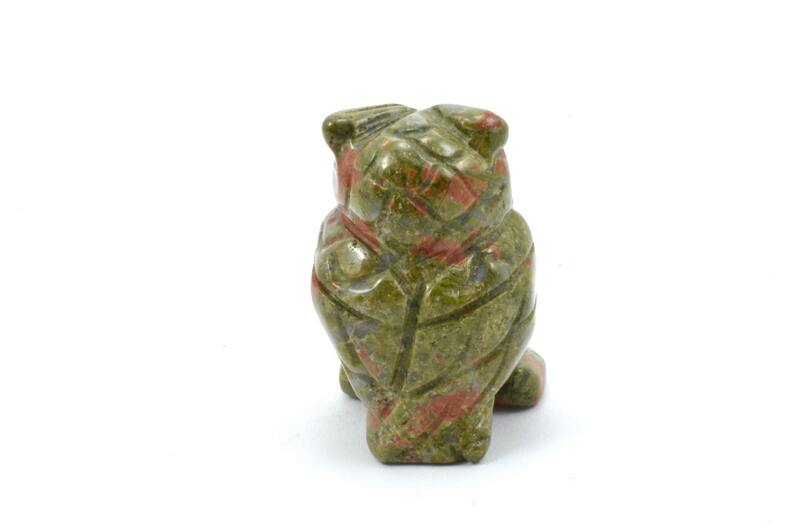 Unakite is a stone with gentle but powerful energy. It can assist one in finding one's animal guide. It is also a stone that is helpful for gardening. 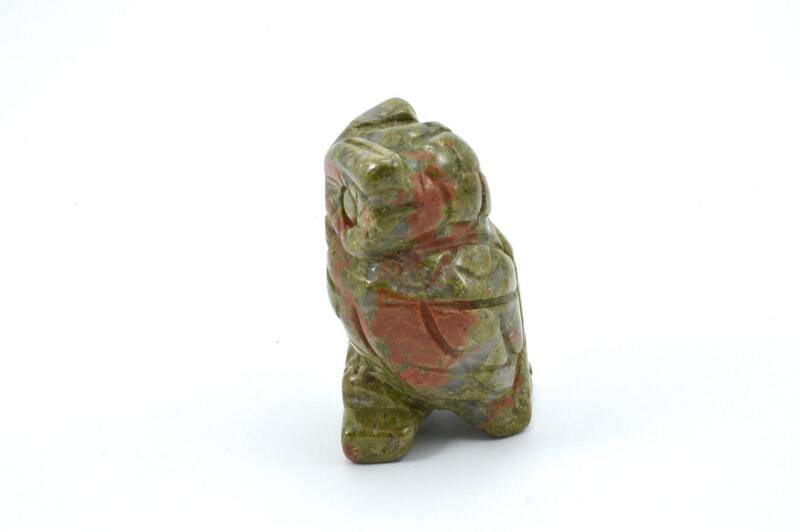 Unakite is also a good protection stone. 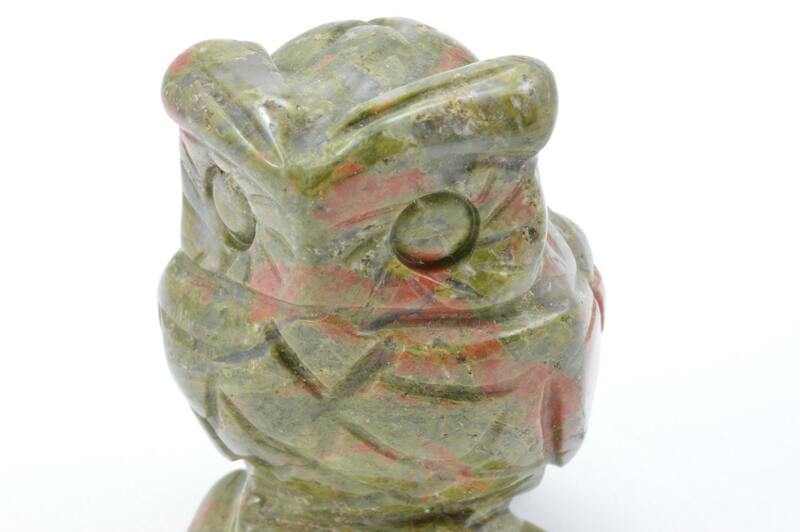 Unakite brings unconditional love of humanity, connection and reunion. 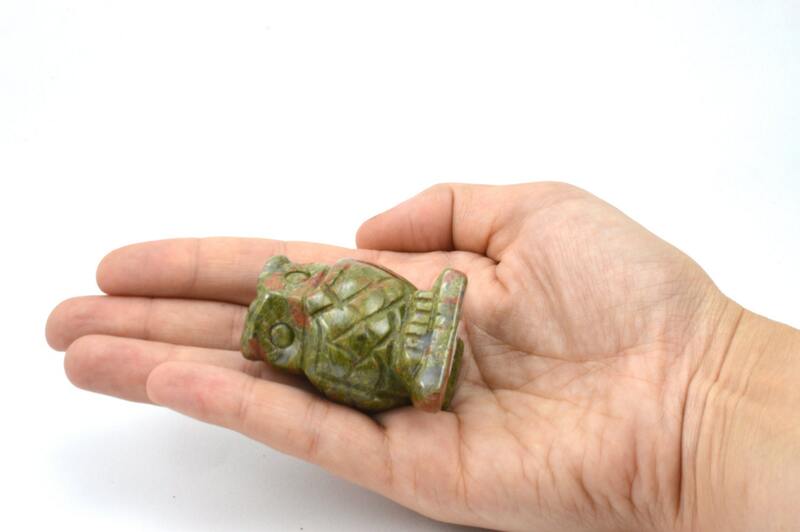 Unakite is considered to be very helpful for pregnancy and childbirth. It can help with healing of abandonment and separation issues. Unakite is said in crystal healing lore to benefit the heart, circulatory system, female reproductive system, male reproductive system though to a lesser extent than female, weight loss, and ease pregnancy. Note that healing crystal meanings are spiritual supports to healing and are not prescriptions or healthcare information.